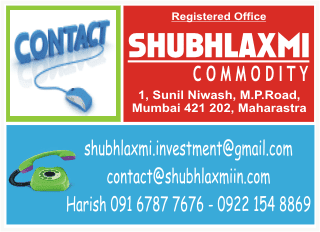 MCX Lead crossed the high of Rs112.2, however it felt the heat at the higher level. As a result it has fallen down. It has fallen from the daily upper Bollinger Band and is consolidating near its 20 day moving average (DMA), the 40 day exponential moving average (DEMA) and the lower end of the channel. In terms of wave structure it has formed a fourth wave pullback that has taken shape of a bearish flag. As long as the low of Rs109.7 remains untouched the view holds true. The daily momentum indicator has triggered a bearish crossover. The targets on the downside are Rs104 – 101.5.